This long card trick reveal has been around for years and it is a great reveal to have in your magic toolbox. Any magician that has been around for a while will know about this method. Even though this has been around for so long, many audiences have rarely seen this being performed and they find it very amusing. This is a very visual way to present a card reveal. To do the long card trick, you will have to know how to force a card. I have explained how to do this in previous tutorials, so if you are unsure how to do so, check out those tutorials. Once you know these forces you have opened yourself up to hundreds of tricks that you are able to do. I used the Hindu force in this particular video. You are able to download the images for this trick and make the special card for yourself. 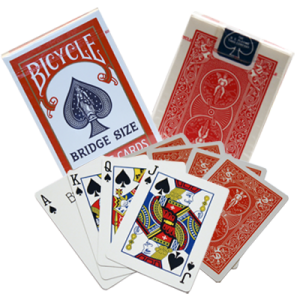 They are available commercially if you want one to match your bicycle playing cards exactly. From my experiences, this is usually unnecessary. 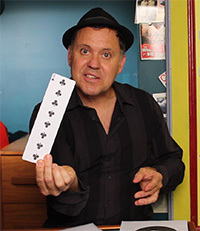 The long card trick doesn’t require anything to be handed out to be examined by the audience. The back of the long card doesn’t need to have anything printed on it as you don’t need to show it during the trick. It has been my experience that some younger children will call you out and say that the card you have made is “not the real card”. Of course there will never be a real card as they only exist among magicians. If this worries you, make sure you follow the long card trick up with another trick that is examinable. Complete this simple trick and then place the card away while you quickly move on to your next trick. 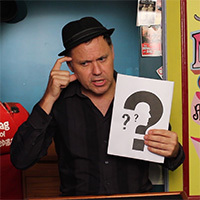 A great magic trick that will work great as a follow up trick for large audiences is the Bigger or Smaller Magic Trick. Did you enjoy this Long Card Trick? To learn more simple magic tricks Click here! Absolutely brilliant. I’m impressed the way you go above and beyond by even supplying the downloads to make the lesson complete. I was a Professional Escapologist in the UK for twenty six years and by my own admission more or less neglected my Magic. So along with all the youngsters out there I’m loving your lessons and have topped up and are learning a ton of of great stuff. You have a natural talent for teaching this stuff. Everything is clear, concise and do-able. JULIAN AND KEN I REALLY LOVE THIS VERSION OF THE AGE OLD LONG CARD.I CONSIDER THE IDEA OF THE LARGE ENVELOPE TO BE AN IMPROVEMENT OVER JUST BRINGING THE CARD FROM THE OUTSIDE POCKET-I CAN USE THIS IN BOTH MY ADULT AND CHILDRENS PERFORMANCES! TERRIFIC STUFF! AND A REALLY GREAT PRESENTATION IDEA!